From the books that I’ve reviewed this past year, I’ve compiled a list of novels that would appeal to a wide audience and are fun to read. These aren't necessarily my absolute favorite books, but the ones that would make good holiday gifts. 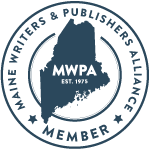 If the name Keri Mikulski sounds familiar, it’s because she’s part of our Book Review Club. Earlier this year, I interviewed Keri and reviewed her first young adult novel in the Pretty Tough series. Head Games featured Taylor, a sweet basketball player who was victimized by a jealous girlfriend. 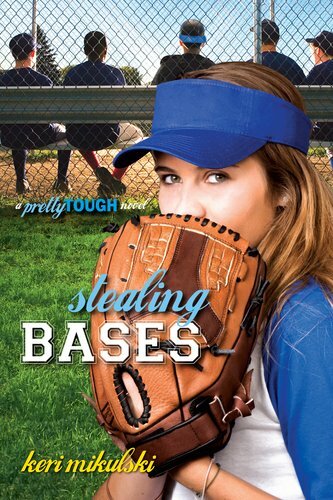 Stealing Bases, the next book in the series, follows the “reformed” bad girl, Kylie, into softball season. I bought this paperback book for my collection of sporty teen girl novels. Kylie is trying very hard to control her legendary temper, but her parents’ divorce and the loss of her starting spot on the varsity softball team push her over the edge. Her hardships explain her behavior without excusing it. Our unreliable narrator spins out of control, but we can’t help feeling sympathetic. It’s also bad fun seeing the world from a snarky girl’s point of view. The one disappointment was Kylie’s complete transformation; it seemed out of character. The lesson of good sportsmanship is, nonetheless, an important one. Keri writes so well about sports and speaks to teens in their own language. Her girls play hard and get dolled up for prom. In the Pretty Tough series being athletic is both feminine and attractive. It’s wonderful to have easy-to-read books for girls in which sports and friendship take precedence over romance. Keri Mikulski hits a home run with Stealing Bases. The next two books in the series, Making Waves and Fifteen Love, are due to be published in 2012. Do you have more gift book suggestions? List them in a comment or blog about them in the next 2 weeks, and I'll link to you from this updated post. Also check out my links below. The Book Review Club always has great suggestions. Read on! 1. From The House of Edward listed Christmas classics, old and new. 2. The Education of a Pulp Writer listed Patti Abbott from our book review club. I don't have anyone in this age group to buy a gift for this year, but once my younger granddaughter gets a little older, I will definitely recommend Keri's books. As you say, it's nice to see a series for tween girls that doesn't focus on boys! Love the photo of Scout--simply beautiful! The Tiger's Wife was wonderful. I still think about that one. Thanks for the link, Sarah! The sunset picture is unreal! Thanks for the booklist--I see a few I would like to read. I let Keri know you reviewed Stealing Bases. As usual, thanks for joining in. Always interesting to read your reviews. I love the gift lists! Thanks for stopping by my blog, Sarah. This sounds well done though I don't have anyone in that age range to buy for this year either. 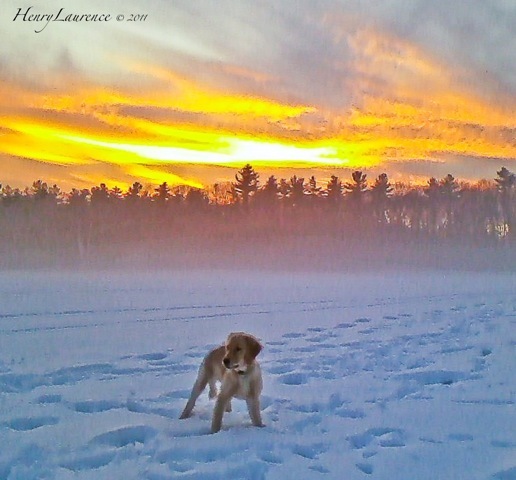 The sunset picture is gorgeous, and Scout is adorable. Gosh, I will now have to rummage round in my brain and come up with my 'good reads' of 2011....... I will try soon. I loved the photo of Miss Scout at the top of the page. ps Yes, I think we are going to use the berry photo as our Christmas card! Lovely picture of Scout. What a fantastic contrast between the fiery sun and the icy snow. I am looking forward to reading The Tiger's Wife over the holidays. I haven't read a single adult novel since July! Fantastic senset photo! Scout is lovely! Thanks for the list. I'd love to read The Tiger's Wife. Do you remember you recommended the Pern series to me? It was fun to read. 2012 is the year of the dragon so probably in January I'll write a little about it in my post. First off, that photo is amazing--so cool! Secondly, thanks for a great list of gift book ideas! And third, I agree about it being nice to have sports books for girls. And this one looks spot-on! I would recommend The Spellmans series by Lisa Lutz for anyone looking for a fast-paced, funny PI mystery series. And possibly my favorite book of the year: Let’s Bring Back: An Encyclopedia of Forgotten-Yet-Delightful, Chic, Useful, Curious, and Otherwise Commendable Things from Times Gone By. Thank you for the review, the rest of your suggestions, and, especially, that amazing photo. I could look at it all night. Thanks for reminding me about the Obreht and Ogawa books. I had forgotten about them and really want to read them during the holidays. I'm glad there are so many good books out there for young teens. This series sounds like a winner. I know its pretty long but it's worth a read, believe me) and The Ground Beneath Her Feet by Salman Rushdie. Outside the Anglophone literary canon, Virgilio Piñera's complete works. I so appreciate book reviews. I'm too busy to read these days, crash once my head hits the pillow. This retirement isn't for chumps! Thanks for visiting my book review!